Virgin Media has just begun a broadband customer pilot to test real-world deployment of 200 Mbps speeds – making it the fastest implementation of Docsis 3.0 technology in the world. Services offered in Japan and the US currently reach 160 Mbps and 101 Mbps respectively. Through the pilot, Virgin Media will be testing applications consumers may be using regularly in the future, including entertainment services using HD and 3D TV and broadband content. Virgin said the pilot will be running for at least six months before results are analysed to understand potential consumer usage and to assess the commercial viability of such ultrafast services. A significant part of the pilot will also involve assessing related in-home technologies. Virgin Media, which just announced first quarter net losses of GBP £154m, said it is in discussions with a number of HD programmers. Currently the operator only carries a single linear high definition service, BBC HD, but offers further HD content solely on an on-demand basis. It has added 270 hours of HD material to its VOD system. Virgin said that 611,900 customers – 17 per cent of its digital TV subscriber base – currently take the V+ high definition PVR. This is up from 521,500 at the end of December. The need to beef up its HD content should be a priority. Virgin rival, BSkyB, last week announced it added 80,000 net new subs for its Jan-Mar trading and saw HD premium subscribers to its 32-channels of HDTV pass the 1m mark. Virgin Media’s total revenue in Q1 2009 was down to GBP £935.7m, compared with GBP £948.5m for the same period a year earlier. Its net loss widened to GBP £154m, from £104m. In its first quarter results announcement, Virgin said: "We are working to ensure our TV service stays ahead of changes in consumer behaviour. 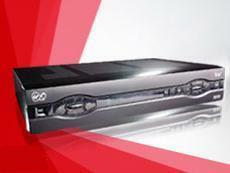 "We expect to increase our High Definition content steadily to complement our existing linear and on-demand line-up. "We are currently negotiating with several broadcasters with a view to launching at least five new HD channels in the third quarter of 2009."